Low overhead means low prices! 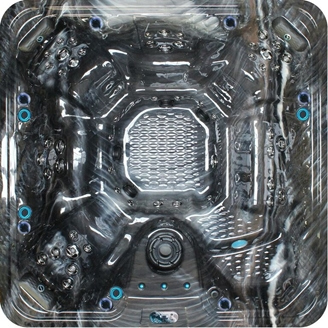 *AUTOMATE YOUR STRONG SPA COVER FOR AN ADDITIONAL $1495!! 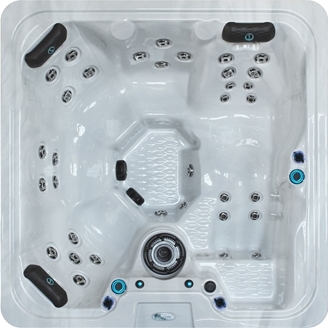 Our sleek, stylish DE Summit Series offers sophisticated opulence for the ultimate hydrotherapy experience. 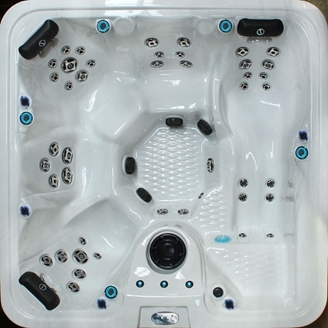 Our Strong Spas DE Summit Series seating is ergonomically designed for your maximum relaxation and rejuvenation. Bluetooth Speaker System $500 Upgrade. We’ve got it all covered for you. 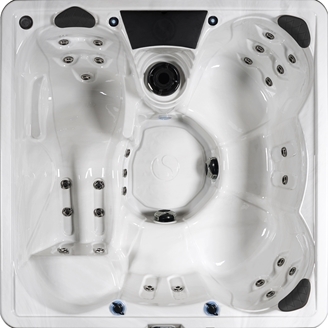 From the durability of our premium pedestal base, to the strength of our industry-leading cabinet system, to our innovative Dura-Shield Hardcover with Lift Assist, through the ease of use that involves filling a DuraSport Series hot tub with water and plugging it in, being a DuraSport Series owner is easy, fun, and relaxing. Whether you like to soak alone, or with family and friends, the DuraSport Series gives you a soothing, relaxing and pleasurable hydrotherapy experience every time. Available in NON-Lounger however will not have the steps or towel holder. 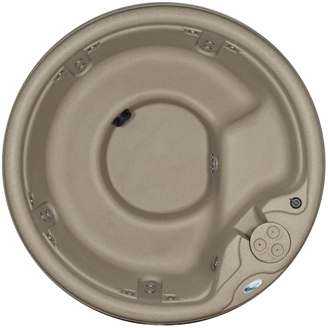 Non-Lounger has ice bucket/cup holder option only. 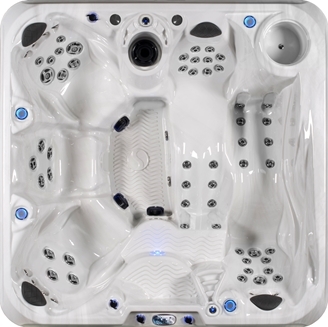 G2L Legend Luxury $5995 *OUR BEST SELLER! 240v only due to the power 5HP PUMP. NON-Lounger has Ice bucket/cupholders only. 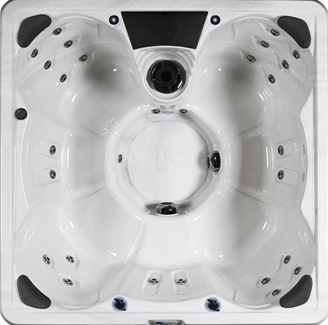 The Strong Spas Embark series is for those who are looking for a hot tub with Strong Spa quality and innovation but aren't interested in all the luxurious options available in other models. 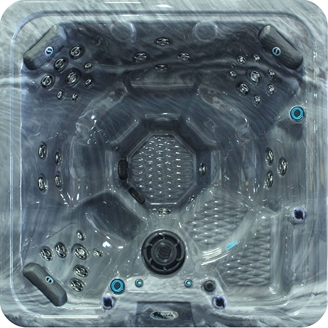 The Embark series offers strong pumps and amazing hydrotherapy . 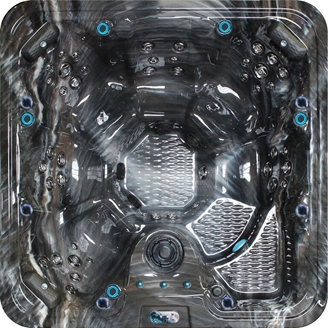 Equipped with plenty of jets and powerful pumps, LED lit air controls, LED 3" underwater light, waterfall and Insulated cover making this series a big bang for your buck! 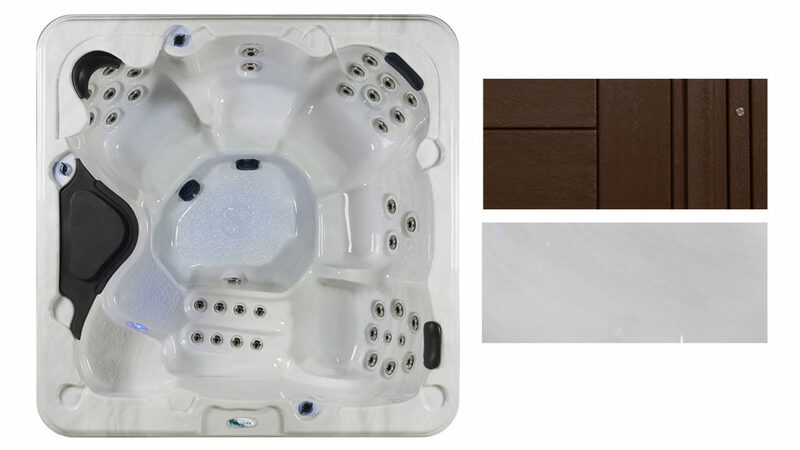 These hot tubs are perfect for anyone who enjoys the soothing massage and warm waters of a spa and can be assured that they are built with Strong Spa quality and design. 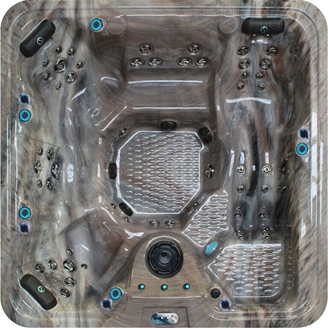 Mocha or Gray Confer synthetic cabinet.